Head of Egypt's El-Ghad party, Mousa Mostafa Mousa, to run for presidency in March election. The head of Egypt's El-Ghad party, Mousa Mostafa Mousa, will challenge President Abdel Fattah Al-Sisi in the upcoming presidential elections, sources from the party told the Egypt Today website on Sunday. The sources added that Mousa received endorsements from 20 parliamentarians, the majority of them representing the Monufia Governorate, in order to announce his presidential bid. Mousa is scheduled to submit his documents to Egypt’s National Elections Authority (NEA) on Monday, which marks the last day for candidates to submit their documents, reported Egypt Today. Egyptians will head to the polls on March 26-28 in the first round of the presidential election, and a second round will be held on April 24-26 if necessary. 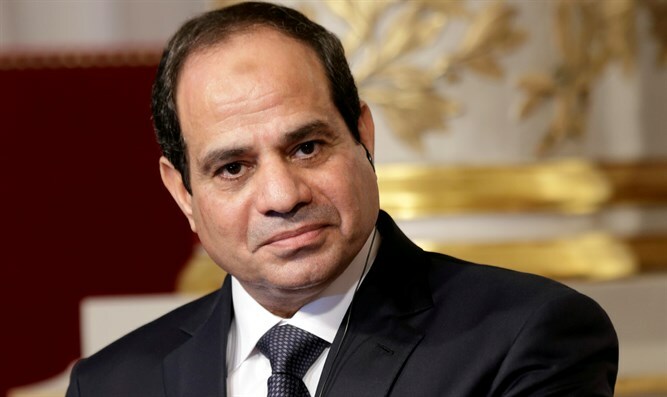 Sisi, the incumbent president, publicly confirmed last Friday he would seek a second term in office. While there were several challengers to the former army chief, as of last Wednesday almost all of them had dropped out of the race. Meanwhile on Sunday, five Egyptian public figures, including two former presidential hopefuls, called for voters to boycott the March presidential election. The five “condemn all security and administrative practices that the current regime took to prevent any fair competition against it in the upcoming elections,” they said in a statement quoted by AFP. The document, according to AFP, was signed by two of Anan's top aides — Hisham Geneina, a former anti-corruption chief, and Hazem Hosni, a political science professor at Cairo University. It was also signed by Sadat, moderate Islamist and 2012 presidential candidate Abdel Moneim Abol Fotouh, a former senior leader of the Muslim Brotherhood and Essam Heggy, a NASA space scientist who worked as an adviser to former interim president Adly Mansour.